The PTA is hosting a meeting on Tuesday August 9th at 6:30pm in the MUR for Buri Buri Parents and Families to discuss the construction at school. This is an opportunity for parents to know what to expect on the first day of school and beyond. Several construction projects will be ongoing throughout this school year. Some smaller projects will hopefully be completed before school starts. We have invited the bond management consultant, Mr. Bill Savidge and members of the school board and administration. Please come to get your questions answered! 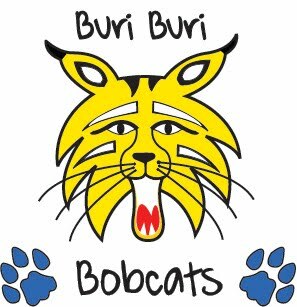 PLEASE NOTE: This is a meeting for parents and families of Buri Buri students only. There is a community meeting for neighbors and concerned citizens scheduled for Thursday August 11th at 6:30 pm in the MUR. I'm sure you've driven by the school lately and seen that not much as changed since school let out. The PTA is working closely with the school board and construction management team to advocate for the completion of construction and to improve student safety at school. There has been a lot of work happening behind the scenes to get work started again. We encourage all parents, teachers, staff and community members to come to the school board meeting this Wednesday July 13th at 6:30pm at the district office. Several smaller projects were out to bid over the past few weeks so we are anxious to hear updates. We need lots of parent support at this meeting. Note: Park in the main parking lot off El Camino (cross street Ponderosa). There is a door on the side of the building facing the parking lot to enter. We will put a sign on the door so all can find the space.